I remember eating my first blood orange; I was about 7 years old and my grandmother brought 3 of them home from the local supermarket. I had never seen on before and I thought it was terribly exotic and thought it tasted much better than the common orange variety. Of course, they taste very similar indeed but that gorgeous red color is still something that I am fond of and given the choice, I would always choose the blood variety of orange. The blood orange fruit grows on the Citrus Sinensis tree which is originally a native of Sicily and the blood orange essential oil is derived by cold compression from its peel. Blood orange essential oil has a fruity, citrus scent that I personally enjoy very much. It fills the house with a pleasant warmth and takes me back to Mediterranean holidays as a boy. Apart from just smelling great, let us not forget that blood orange essential oil also comes with a number of therapeutic benefits as a result of its medicinal properties which are very similar to the benefits conferred by sweet orange essential oil. Whatever the reason for your inflammation and whether it is internal or external, blood orange essential oil can offer excellent and speedy relief. Inflammatory conditions can lead to far more serious issues down the line and the anti-inflammatory actions of blood orange oil will ensure that your condition is eased before it goes too far. This oil can be used for a variety of inflammatory complaints including arthritis, fevers, or the side effects of medication or toxic substances. So whatever the cause of your inflammation, give blood orange essential oil a go and you should be able to aid your recovery. 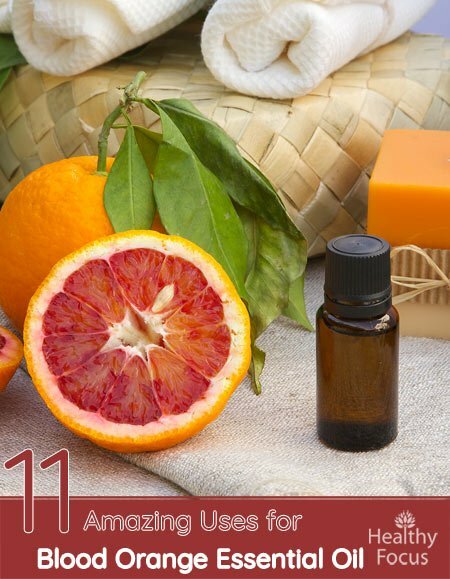 Because blood orange essential oil has antiseptic and antibacterial properties, you can use it to prevent minor wounds or burns from becoming infected by harmful bacteria. Blood orange oil inhibits the growth of microbes and helps disinfect the affected area of your skin before the bacteria gets the chance to take a hold. Bear in mind of course that we are talking about minor injuries; if you suffer a major wound then essential oils are unlikely to heal them completely and you need to seek medical advice as quickly as possible. Blood orange essential oil derives a variety of health benefits from its cholagogue activity. Cholagogues basically help stimulate the production and flow of the liver’s bile making this essential oil especially useful for digestive complaints. The same cholagogue properties also help the liver to detoxify and to treat gallstones as well as ensuring enzymes and hormones are stimulated. Blood orange essential oil has a wonderful uplifting aroma and its mere scent can elevate the mood for many people. Like other citrus essential oils, it is frequently used in aromatherapy to treat feelings of depression and grief. Blood orange essential oil is a natural diuretic which means it can help promote the quantity of urine your body produces as well as increasing the frequency with which you urinate. This of course means that blood orange oil can help detox the system by flushing away toxins and the unwanted build-up of substances like uric acid and salt. This process also helps to steady the digestive system and can help you to lose excess fats which has knock on benefits for the heart and your overall good health. Spasms when left alone can lead to continuous coughing, muscular cramping, diarrhea and even convulsions. Blood orange oil has anti-spasmodic qualities which can help treat muscular spasms by relaxing the muscles quickly and before they lead to more serious issues. If you are unfortunate enough to suffer from regular bouts of gas then blood orange oil is a useful addition to your home apothecary. Because blood orange oil has carminative properties, it is able to calm the painful and sometimes embarrassing symptoms of excess gas. 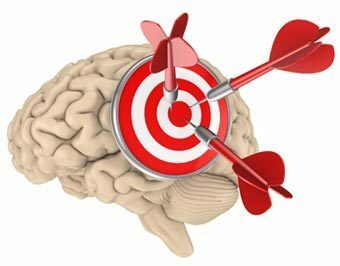 Most people will have suffered from wind from time to time and many know how uncomfortable it can be; gas rises through the body and pushes against your insides, which often leads to indigestion, pains in your sides and your chest. Blood orange essential oil works by relaxing the stomach muscles allowing excess gas to escape naturally before it becomes overly uncomfortable. Like many essential oils, blood orange oil might make for a useful insect repellant when diffused. Research has demonstrated that orange essential oil is a safe, eco-friendly way of controlling housefly larvae and pupa. 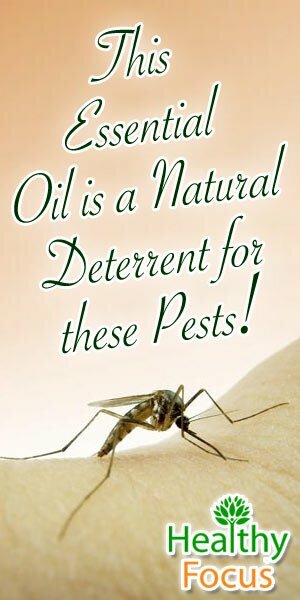 (2) If you are hounded by flies, mosquitos and other unwanted visitors, then try blood orange essential oil as a natural alternative to your commercially available chemically laden insect repellants. Blood orange essential oil like many other oils is said to have mild aphrodisiac qualities. There is no research that confirms its use in this regard but it is claimed that this oil can help with a variety of sexual issues including lack of libido and even erectile dysfunction. While I take these reports with a large grain of salt, there is certainly no harm in trying and the scent alone might get you in the mood. Because of its detoxifying effects, blood orange essential oil might help you to achieve and maintain healthy looking skin. However, because of its photosensitive nature, you must be careful when applying blood orange oil topically. Apart from its many health benefits, the mere scent of many citrus oils like blood orange can have a great impact on the home. When diffused, it can help expel any nasty aromas from cooking or tobacco replacing them with a warm, uplifting, tangy aroma that is guaranteed to improve your mood. You can combine this oil with your carrier oil of choice and massage it into your body to relieve inflammation, aches and pains. Diffuse it to improve your mood and deodorize your home but make sure to read your manufacturer’s instructions as citrus essential oils are known to have damaged some diffuser machines. Add a few drops to your bathtub for a therapeutic soak. You can add a few drops of blood orange essential oil to a spray bottle of water and use it to repel insects or disinfect a work surface. 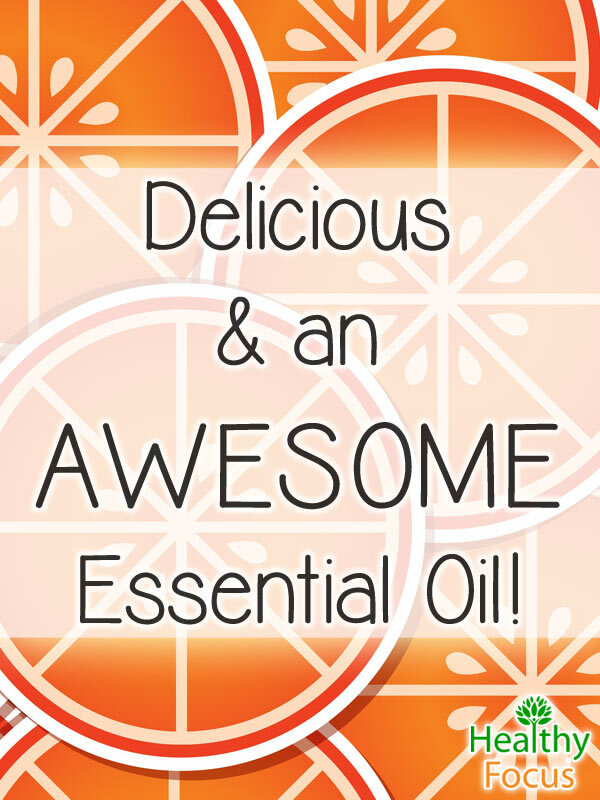 You can use blood orange oil alone or blend it with another essential oil of your choice. Like most essential oils, it blends well with many others but it is particularly good when mixed with clary sage, myrrh, clove bud or lemon essential oil. Blood orange essential oil is photo-toxic which means that you should not expose the skin to direct sunlight for at least 24 hours after topical application. Do not take it internally. Pregnant and nursing mothers should always talk to a doctor before using essential oils to stay on the side of caution. Blood orange essential oil is considered safe but you should always dilute your essential oil with a carrier oil before using it topically.